Francis Fukuyama is the Olivier Nomellini Senior fellow and resident in the Center on Democracy, Development and the Rule of Law at the Freeman Spogli Institute for International Studies at Stanford University, as well as chairman of the editorial board of The American Interest which he helped found in 2005. He is the former director of Johns Hopkins SAIS’s International Development Program and was a member of the President’s Council on Bioethics from 2001-2005. Until July, 2010 he was senior fellow at the Foreign Policy Institute at the Paul H. Nitze School of Advanced International Studies of Johns Hopkins University. Dr. Fukuyama received his B.A. from Cornell University in Classics and his Ph.D. in Political Science from Harvard. He was a member of the Political Science Department of the RAND Corporation from 1979 to 1980 then again from 1983 to 1989 and from 1995-1996. He was a member of the Policy Planning Staff of the U.S. State Department, first as a regular member specializing in Middle East Affairs and then as Deputy Director for European Political-Military Affairs. He also served as a member of the U.S. delegation to the Egypt-Israel talks on Palestinian autonomy. From 1996-2000 he was Omer L. and Nancy Hirst Professor of Public Policy at the School of Public Policy at George Mason University. 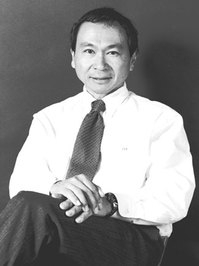 Dr. Fukuyama has written widely on issues relating to questions concerning politics and economic development issues. His book, The End of History and the Last Man has appeared in over 20 foreign editions. It made the best seller’s list in the U.S., France, Italy, Japan and Chile and has been awarded the Los Angeles Times’ Book Critics Award as well as the Premio Capri for the Italian edition. His new book, The Origins of Political Order is also gaining much attention.